This stylish RDA measures 24mm x 36mm featuring external airflow which is said to be one of a kind and is located on the middle of the chuff cap as well as on the bottom. Bottom air is directed to four holes that are located directly underneath the coils. 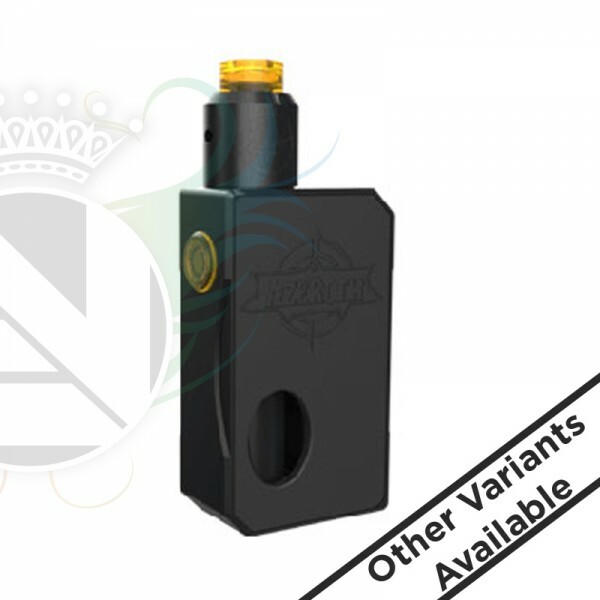 CoilArt Azeroth Squonk Mod brings you a brilliant and compact squonking device, which is powered by single 18650, 20700 and 21700 battery and e-juice capacity reached to 7ml to bring you great vaping experience.